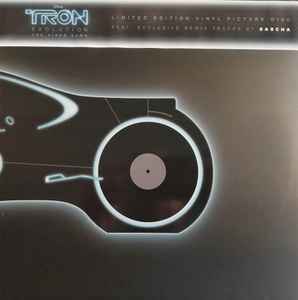 In tandem with the release of Tron Evolution (the companion video game to the franchise refresher, Tron Legacy), iam8bit produced a custom vinyl picture disc that was sent out to an exclusive list of journalists. Only 200 were pressed. Jacket has UV spot varnish on matte print. Comes with an OBI strip.